October/November voyages to the Falkland Islands, South Georgia and Antarctica are timed to coincide with the arrival of spring and mark the beginning of the wildlife migration and commencement of the breeding cycle for many species. In South Georgia, male elephant seals battle for control of the beaches (and the female harems), and albatrosses begins their intimate and beautiful courtship rituals. 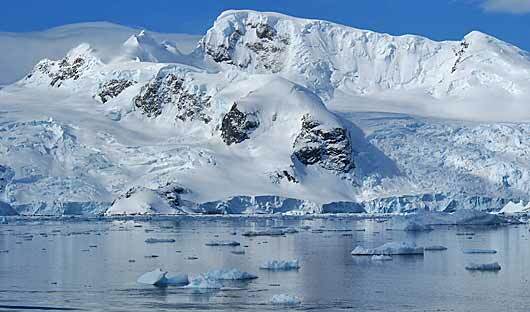 The ice and snow conditions in Antarctica at this time are pristine. Late December and January departures are timed for the height of the southern summer when penguins are busy rearing their young chicks, while whales are fully focused on feeding. Much of the early season sea-ice has broken up which increases the number of potential landing sites along the Antarctic Peninsula and in the South Shetland Islands. Days 18-20 Drake Passage to Ushuaia Itinerary ends. Ushuaia is known as the southernmost city in the world (although, with a population of around 60,000, really more of a large town). 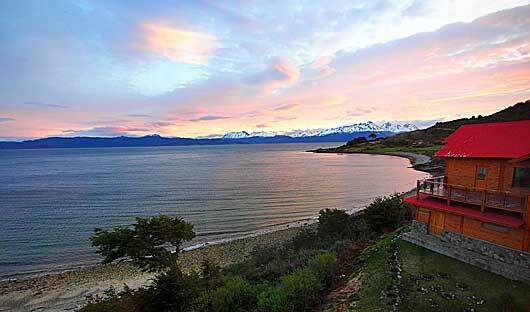 Set on the shores of the Beagle Channel, ‘Ushuaia’ actually means “the bay facing westward” in the language of the original Yamana inhabitants. Once a penal colony for political prisoners as well as hardened criminals – the Presidio (prison) was closed in the late 1940s – Ushuaia is now a major tourist centre, particularly for people cruising to Antarctica. The town is also a major ski resort area for both alpine and cross-country skiers and offers magnificent hiking in Parque Nacional Tierra del Fuego, the only coastal national park in Argentina. Today is the first day of your adventure. Your morning is at leisure to do any last minute shopping, take an optional excursion to Tierra del Fuego National Park, or perhaps make a good hike up to the Martial Glacier. This afternoon board the expedition ship, with embarkation time set for 1600hrs. As you board the vessel and start to become familiar with your ‘home’ for the next 18 days, you cannot help but wonder about the exciting journey ahead. In the early evening set sail, leaving behind Ushuaia and charting a course through the Beagle Channel. Akademik Ioffe and Akademik Sergey Vavilov are Sister ships built in Rauma, Finland in 1989 and 1988 respectively, both vessels were designed for polar research and are now the only scientific vessels still actively participating in marine science. With extensive upgrades and expansions, Akademik Ioffe and Akademik Sergey Vavilov are not only safe and ice-strengthened, they are now modern, comfortable and very spacious. 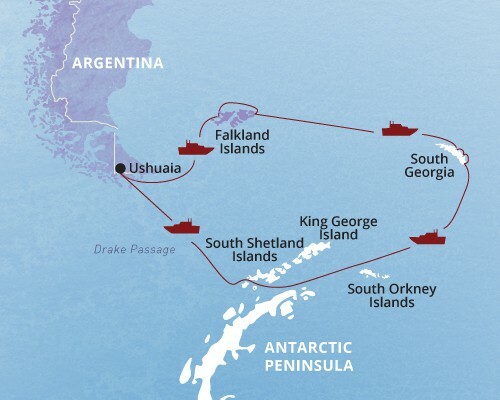 Both vessels transit open water crossings from Ushuaia to the Antarctic Peninsula, to the Falkland Islands and South Georgia with ease due to their mass and integrated internal ballast system, resulting in a tremendous reduction from severe rolling in heavy seas. Once along the Antarctic peninsula the technical features of both the Ioffe and Vavilov shine for the advantages they offer to the passenger experience. With bow and stern thrusters, both vessels can spin on their axis and the multiple pitch propellers offer immediate reduction in speed when a wildlife opportunity presents itself. As you make passage towards the Falklands, you have time to become acquainted with the ship and frequent the common areas that include the lounge, dining room, library and presentation room where you will meet your guides, the ship’s crew and the expedition staff. You will have the chance to spend plenty of time with the on-board polar experts who will be pleased to educate you about the wonders of Antarctica, with a number of lectures and information sessions scheduled covering the flora, fauna, the science and the extraordinary human and natural history of the Antarctic region, providing an excellent introduction to this vast continent. Sailing northeast, you’ll likely be joined by swooping seabirds including the wandering albatross that you’ll come to know well on this journey. The Falklands consist of 700 small and mostly uninhabited islands and two main islands – East and West Falkland. Located 490km east of Patagonia, the Falklands have always been a land of hot debate. Officially discovered on August 14, 1592 by John Davis they remained uninhabited until 1764 when the French built a garrison at Port Louis, disregarding the Spanish claim to the islands. From that moment on and over the next 200+ years, there have been many disputes between Spain, France, Britain and Argentina, until the end of the Falklands War between Britain and Argentina in 1982 brought the islands firmly under Britain’s control. Now with a human population of only 2,491, the islands are the first stop in your journey. 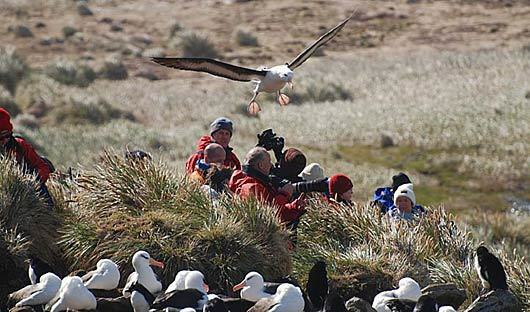 Arrive in the Falkland Islands overnight, and by morning everyone will be excited to make their first shore excursion. 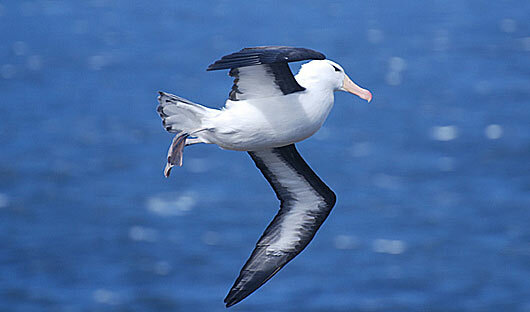 The plan will be to explore the islands of the West Falkland Archipelago, home to a profusion of seabirds and migratory birds including the black-browed albatross. The first penguin sightings will be on the island of West Point with its bustling rookeries of rockhoppers. On Carcass Island, you will see nesting Magellanic penguins along with oystercatchers, geese and the flightless steamer duck that is a permanent Falkland resident. The next day make a stop in Port Stanley, the capital of the Falkland Islands. As you wander through the charming streets of brightly-painted houses that provide contrast to the long dark winters, you will learn that this quiet harbour was once a major port in the 19th century for ships attempting to round the formidable waters of Cape Horn. The waterfront memorial, built to commemorate the lives of the servicemen lost during the Falklands War in the early 1980s, acts as a sobering reminder of recent history. You may also like to visit to Stanley’s famed philatelic museum with its impressive collection of historic stamps. Now the ship sails southeast bound for the island of South Georgia. These days at sea are never dull – much of your time will be spent scanning the horizon in search of whales and other marine mammals, as well as seabirds. The friendly on-board experts continue to fill your minds with heroic stories of some of the earliest daredevils to explore Antarctica. 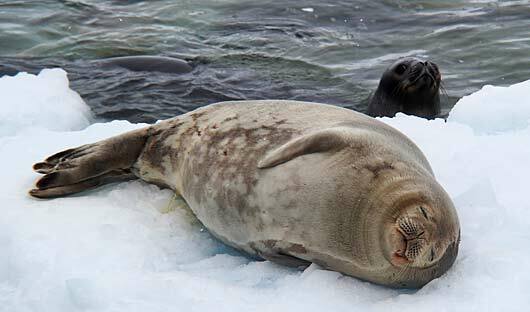 You will also learn about Polar conservation, a theme particularly close to the hearts of the guides and crew. The anticipation grows, particularly as you cross the Antarctic Convergence and immediately notice a dramatic drop in temperature. Majestic snow-covered mountains greet you on the island of South Georgia, the most rugged island in this region. Weather permitting, you will have three full days to explore this island. Cruise the protected waters of the eastern coast looking for suitable landing spots such as Salisbury Plain and St Andrews Bay. The highlight of both these excursions is the mind-boggling abundance of king penguin adults and young that live in these locations by the hundreds of thousands, covering every inch of the shore. But that is not the only wildlife on display. Fur seals can be seen poking their heads above the water, skuas and giant petrels swoop in the skies above, and the albatross, your constant companion, is never far away. Known for its brutal whaling and exploratory history, this 170km long and 40km wide island is considered the first gateway to Antarctica and was the centre of the huge Southern Ocean whaling industry from 1904 to 1966. The famous English sea captain, James Cook, was the first to land on South Georgia on January 17, 1775 and named the island after King George III. During the 62 years of whaling activities, any number between first year’s 183 whales and the record toll of 7,825 whales in the 1925-26 season were killed annually for their oil. Whales weren’t the only animals hunted for their oil at that time: a total of 498,870 seals – mostly giant elephant seals – were also slaughtered. South Georgia is a thrilling location for history buffs with the rusting relics of the early whaling industry all around and it is hoped to observe several of the old stations at locations including Leith, Husvik and Stromness. 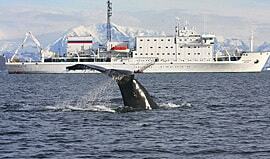 Since the end of whaling activities more than 40 years ago, wildlife has slowly returned to the island. 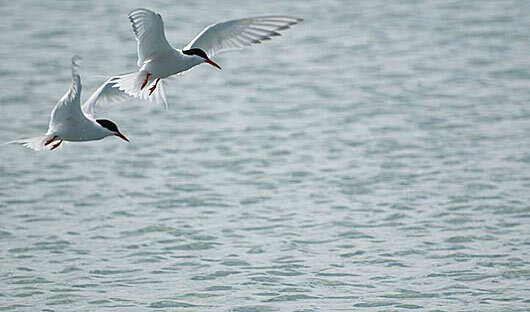 Today the island’s wildlife is extraordinary, not only in its variety but also for its sheer abundance. South Georgia is home to roughly 300,000 elephant seals, 3 million fur seals, and 25 species of breeding birds, including wandering albatrosses. 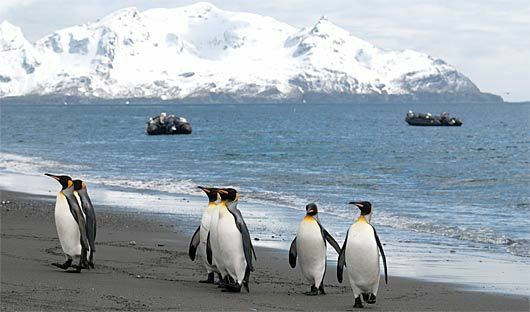 The gravel beach at St. Andrews Bay has a king penguin rookery of 100,000 and an estimated 5 million macaroni penguins. The best-known adventurer connected with this part of the world would have to be the British explorer, Sir Ernest Shackleton. On his attempt at the South Pole his ship, Endurance, was captured by pack ice in the Weddell Sea on January 19, 1915. The ship was ultimately destroyed by the heavy ice in November, and after almost 5 months in desolate isolation and struggling to travel over the ice and sea to land, in April 1916 he and his men finally made it to Elephant Island. Because the island was uninhabited, Shackleton decided to risk an open-boat journey to the far-distant South Georgia whaling stations where he knew help was available. After a 15-day journey of 1,300km in a 6m open boat, he finally landed with five chosen men at King Haakon Bay on the south-west coast of South Georgia Island. They proceeded to hike the ice-covered mountainous terrain, arriving at Stromness whaling station on May 20, 1916. Shackleton returned to South Georgia in 1922 for one last assault on Antarctica but passed away after suffering a major heart attack while in his cabin. At the request of his wife, he was buried at the whalers’ cemetery at Grytviken Station. A visit to Grytviken, the largest of the whaling stations and situated at the head of Cumberland Bay, is a highlight. Aside from Shackleton’s gravesite, there’s also an excellent museum, maintained by the South Georgia Heritage Trust, while the restored church, built by the original Norwegian whalers, provides a fascinating glimpse into the past. The ship crosses the Scotia Sea, sailing ever closer to Antarctica and leading you perhaps to the South Orkney Islands or legendary Elephant Island, depending on conditions. Linked to the Antarctic Peninsula by an enormous submarine mountain range called the Scotia Arc, these often mist-shrouded islands are protected by large icebergs and sea ice. You may be lucky enough to see the dark cliffs of Elephant Island appear on the horizon. Shackleton and his men were encamped here for many months, and from the tiny beach at Point Wild, he and his selected men set off on the rescue mission to South Georgia rowing the tiny lifeboat, ‘James Caird’. To this day, the epic ocean crossing is considered one of the greatest in history. Shore landings at Point Wild are notoriously difficult due to the surging ocean currents and pounding surf on the rocky beach but, if conditions allow, a landing will be attempted. Plotting a south-westerly course the ship now heads to the South Shetland Islands that frame the north-west edge of the Antarctic Peninsula, providing some shelter from the winds. Dazzling wildlife sightings await you on your excursions to some of these islands and possible landing sites could include King George Island, Half Moon Island, Yankee Harbour or Hannah Point. Adélie, chinstrap and gentoo penguins thrive here, as do several species of seal, including the powerful leopard seal that you might encounter. 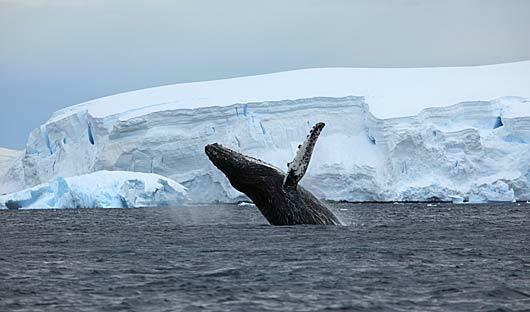 Gulls, skuas and cormorants are also found nesting and feeding at many sites along the Antarctic Peninsula, and with luck you may see yet more whales feeding off King George Island. If the weather allows, you will visit the flooded volcanic caldera of Deception Island. With rugged scenery, great sites of geologic interest and an overwhelming display of whaling and scientific exploration history, Deception Island is a perfect museum of natural and exploration history. For those wanting to stretch their legs, a spectacular hike to the crater rim offers a challenge. Finally, after so much anticipation, you will enter the icy waters of the Antarctic Peninsula in the vicinity of Mikkelson Harbour or Cierva Cove. The scenery here – from the colossal icebergs to the seemingly endless Antarctic ice sheet – is truly breathtaking. 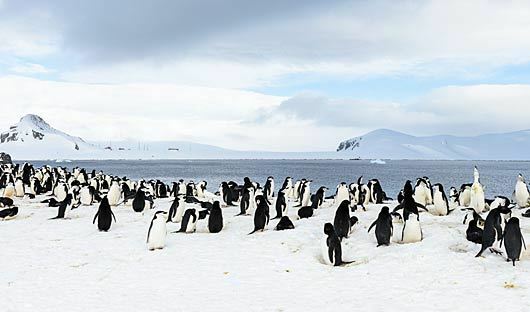 Antarctica is the coldest, windiest, driest, iciest and highest of all the major landmasses in the world, with the longest nights and the longest days and the world’s greatest concentration of wildlife. It is also one of the last true wilderness areas left on earth – largely unchanged since the early explorers and whalers first landed on its inhospitable shores less than two centuries ago. 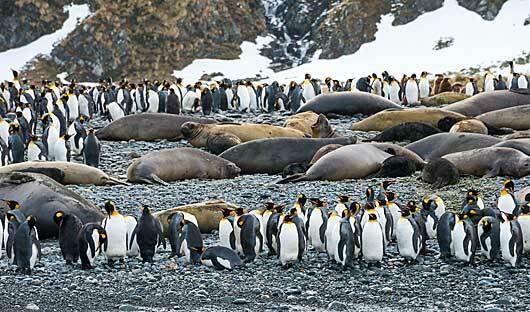 If conditions are good, you will undertake a shore excursion and set foot on the White Continent itself. Locations you may visit include Wilhelmina Bay, Orne Harbour, Cuverville Island and the Errera Channel. Perhaps join the photographic guide to take close-up photos of the penguins, or of the impossibly blue ice. Or enjoy a hike to the top of a snowy mountain saddle with one of your adventure guides. If the opportunity presents itself, visit a science base or an old historic hut. The sea kayakers may range up to several kilometres from the ship – a truly memorable experience. Each and every day, you will be presented with a range of great choices. As you leave this magical place and make your way back, heading again across the Antarctic Convergence and the Drake Passage before rounding Cape Horn, there is no doubt that time will be spent sharing and reflecting on the wonderful experiences of the last few days. Sailing up the Beagle Channel, you will celebrate the conclusion of your Polar expedition at a special dinner. In the early morning of the last day of the trip, arrive back in Ushuaia. It is time to say farewell to your crew and fellow travellers. 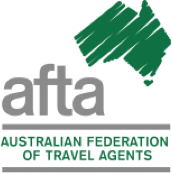 You will be transferred to your hotel or to the airport for your onward flight.